"I've got gadgets and gizmos aplenty. I've got whozits and whatzits galore. You want thingamabobs? I got twenty...." Anyone a fan of Disney's The Little Mermaid? 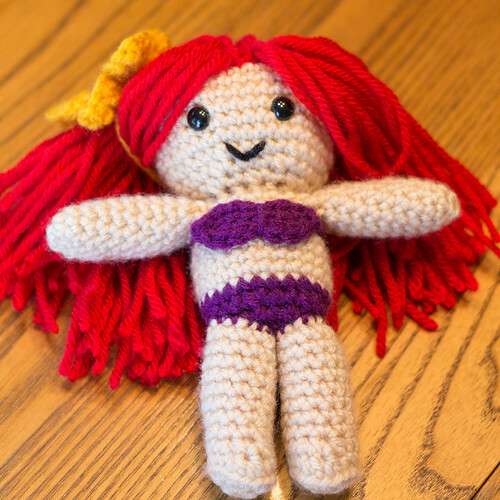 I know a little girl who is, so I made this Little Mermaid for her for Christmas! I found the pattern on Etsy from the shop Cyan Rose Creations. It's a great pattern with well written directions and helpful pictures! Her tail is removable! How cool is that?! I love how she turned out! 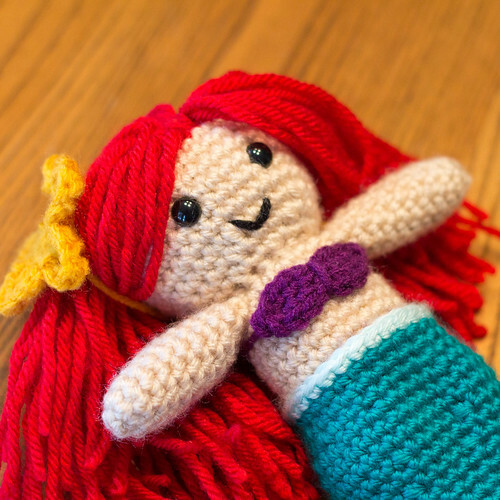 Cyan Rose Creations has several adorable crochet patterns you should check out! I think the pattern of Finn from the cartoon Adventure Time looks really cute! She's adorable! 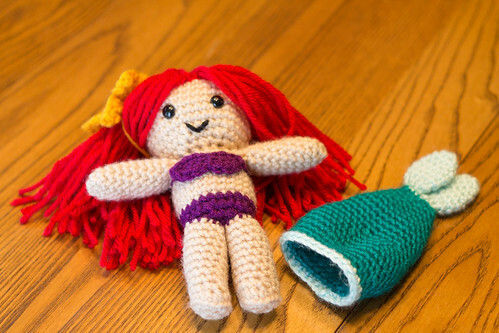 Great job :-) My daughter was a fan of The Little Mermaid when she was younger. Thanks!! It was my sister's favorite Disney movie too! 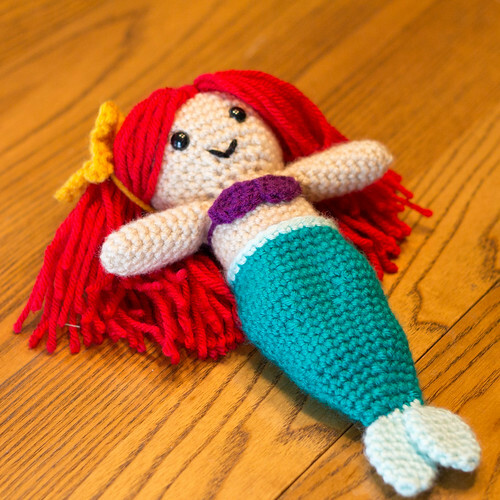 What an adorable little mermaid pattern and you've made it so beautifully! I love her purple bikini and the removable tail is perfect! Result: one very happy little girl, I'm sure! Thanks Debi!! I hope she likes it as much as I enjoyed making it!